- Even 1 dose reduces the constipation quickly. Habitat: Cultivated in dry lands of southern & western india, and indegenous to arabia. Part Used: Pods, Stems And Leaves. Common Name: Senna, Indian Senna, Tinnervelly Senna, Cassia Senna. Senna alexandrina is an ornamental plant in the genus Senna. 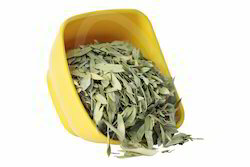 It is used in herbalism. It grows natively in lower Egypt, especially in the Nubian region, and near Khartoum, where it is cultivated commercially. It is also grown elsewhere, notably in India and Somalia. Cassia angustifolia is a small perennial shrub growing to one meter, with a straight woody stem and yellow flowers. It is cultivated in south India and Gujarat. The leaves may be picked before or while the plant is flowering and the pods are collected when they are ripe in autumn. 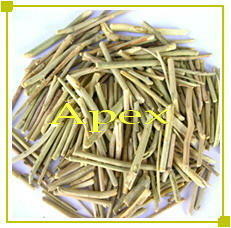 Rhizoma Kaempferiae- sha jiang is a spice often used in diet.And it is also a herb medicine. We hold expertise in providing exceptional quality Senna to our clients. This product acts as a memory enhancer, anti-anxiety agent and nerve tonic. Developed under hygienic conditions, this product is widely used in the pharmaceutical industries.